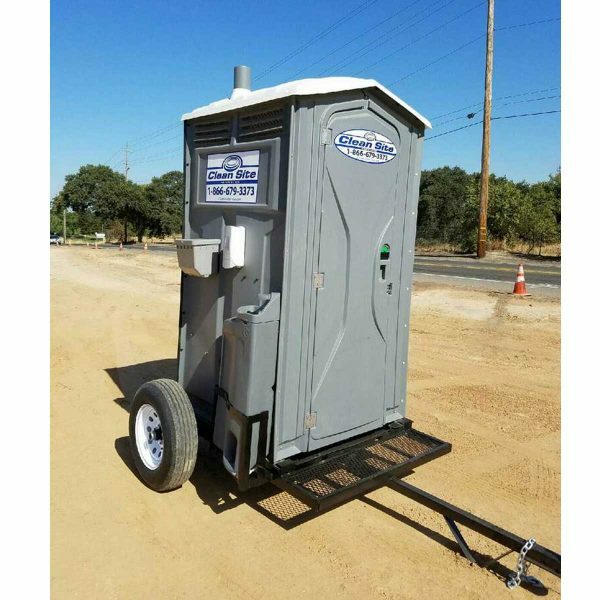 Our trailer mounted portable toilet units are a perfect solution for any construction project or agriculture work application where the portable restrooms need to be easily relocated in order to keep up with the ever moving crew. Repositioning our porta potties on a trailer is accomplished simply by moving the trailer. 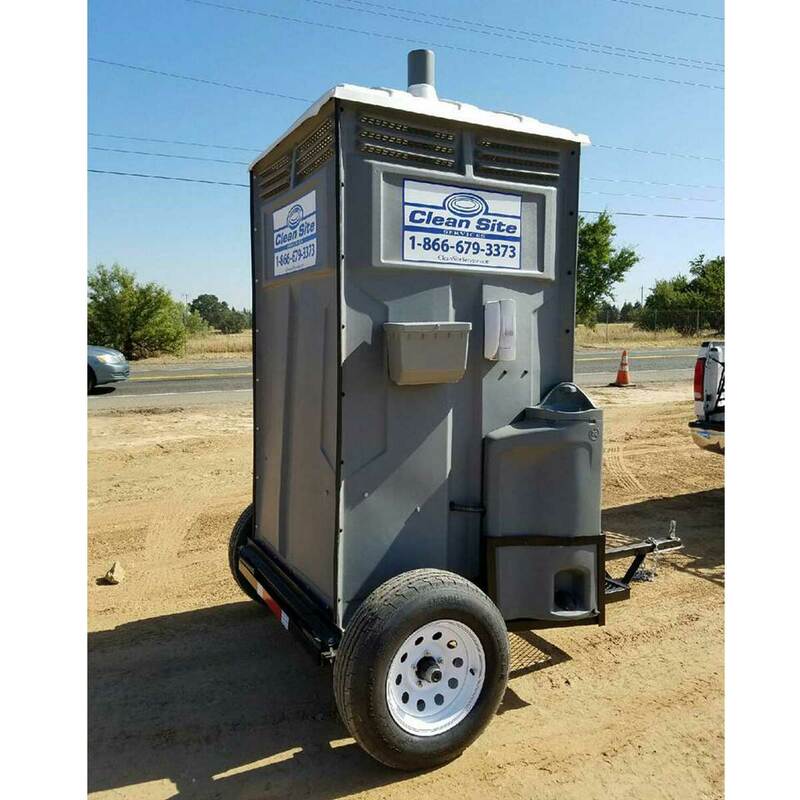 Our versatile Trailer Mounted Toilet units are available in both single and dual restroom setups. 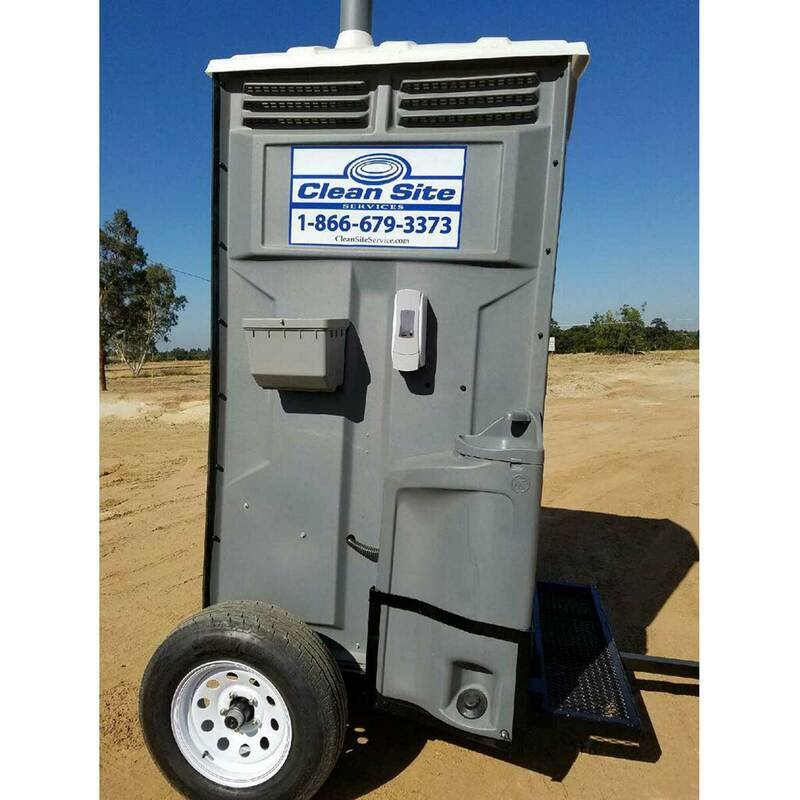 Optional portable handwashing sinks can also be included on our Trailer Mounted Toilet units. 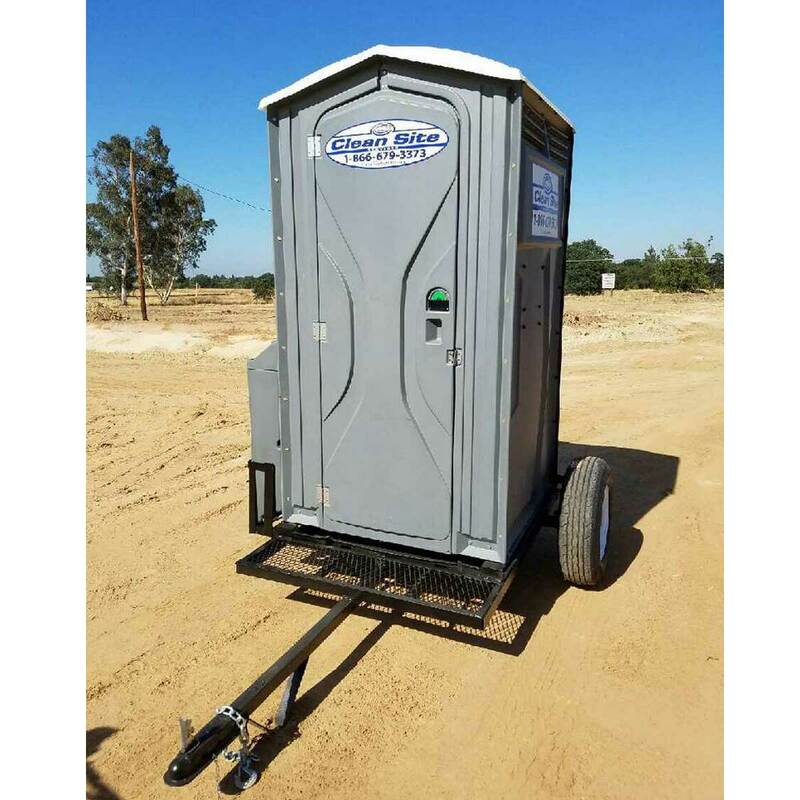 Our toilets on a trailer unit can easily be configured to be GAP compliant.